Antibiotic resistance in pathogenic bacteria is a growing global challenge. Danish researchers have now discovered that bacteria use a code language to avoid being controlled. Understanding this code language will be paramount to developing new antibiotics in the future. Pathogenic bacteria -- such as those that cause tuberculosis and typhoid fever -- use a variety of clever tricks against our immune system and the antibiotics we use to control them. One of these tricks is the ability to go "under cover" and hide from the immune system and the treatment by going into a dormant state where they are not discovered. For several years, researchers at Aarhus University have studied the molecular mechanisms that enable bacteria to hide in this way, and new research now suggests that they also make use of code language in their attempt to avoid being controlled. A palindrome is a word that reads the same both forwards and backwards, such as the word "kayak." In close collaboration with other leading researchers in bacterial physiology and bioinformatics at the University of Copenhagen and Aarhus University, a research team at the Department of Molecular Biology and Genetics at Aarhus University, Denmark, led by Associate Professor Ditlev Egeskov Brodersen, has discovered that a large number of pathogenic bacteria use cryptic palindromes embedded in the sequence of amino acids in their proteins to determine whether the dormant state should be established or interrupted. The results have just been published in the journal Nucleic Acids Research, and include detailed three-dimensional structures of specific cell toxins that are activated during treatment with for example antibiotics, and demonstrate what happens to them when they bind to specific regions of the DNA of the bacterial cells. The toxins are usually kept in check by their partners, the so-called "anti-toxins," and the researchers have discovered that the palindrome codes enable the anti-toxins to block two toxins at the same time. The amino acid sequence of the codes fits as a key in a lock, and the palindromic sequence is necessary because the two toxins to be blocked are rotated 180 degrees relative to each other. And moreover, it seems that such codes are present in unprecedented numbers among bacteria. In the analysis of over 4,000 bacterial genomes, the researchers have further shown that up to 1/4 of all known bacteria use such codes in their constant struggle for survival. 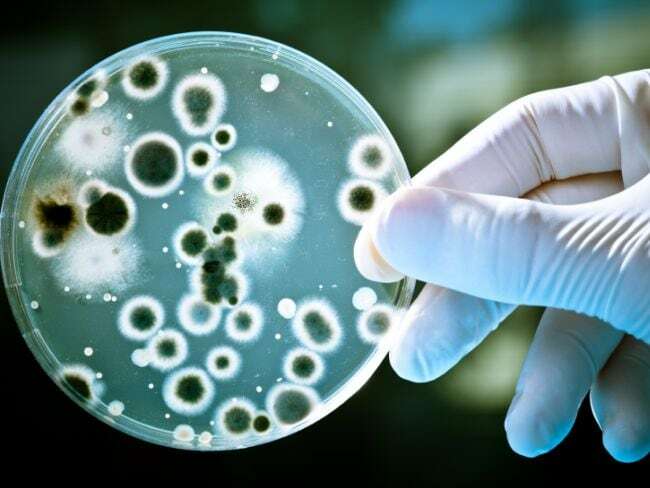 Therefore, the research results indicate that a better understanding of the code language of the bacteria is necessary to increase the possibilities of developing new antibiotics in the future. Big data and predictive analytics are quickly changing the way most industries do business. By collecting all industry-related data, even the little pieces of data that might seem insignificant, companies can predict trends, find patterns and gain an edge in what might be the most competitive field we’ve ever seen. Pharmaceutical supply chains process massive amounts of data every day and can benefit from tools that big data provides. If you’re managing a supply chain, how can you implement big data to assist in your daily tasks? Big data provides predictive analytics. It utilizes algorithms to make sense of the enormous amount of collected data and use it to make predictions about future events. Individuals and businesses can make informed decisions about supply chains, purchases, sales and other related factors using the predictions. Supply chains have almost always been driven by a form of analytics, based on past experience and a variety of performance indicators. And with the implementation of big data, supply chain managers can make quantifiable predictions which they can later act upon rather than making changes to the chain after the fact. Most pharmaceutical supply chains aren’t set up to jump into a big data implementation plan for one primary reason: the first step toward a functional big data system is data collection. Tagging the drugs with barcodes or RFID-enabled tags and tracking them from production to prescription allows pharmaceutical companies to curb product loss and reduce the number of fake or unsafe drugs on the market. They can collect all the data necessary to build the foundations for a big data and analytics network. Pharmaceutical supply chains are complicated, as they’re rife with multiple distribution levels and regulations. In many ways, it’s like a Jenga tower. If one piece is moved wrong, the whole thing could topple over. This is why big data will be one of the most vital tools in the industry. Even when you consider all of the information that can be collected after-the-fact in regards to pharmaceutical supply chains, managers are left reacting to situations that arise and often scrambling to fix problems before they interrupt the supply chain. With supply chain analytics and a stable big data system at their command, supply chain managers can predict with relative accuracy where problems will occur. This enables them to move from a reactive model to a predictive one, preventing supply chain interruptions. Predictions aren’t perfect, but they become more accurate as the system collects more data. Then, the predictions become more accurate and useful to supply managers. · Involve everyone. Big data is not something that you can simply drop on your crew and expect it to work. It will require a concerted effort from everyone — the workers up to the CEO. · Invest in quality hardware. Don’t skimp on the hardware that will handle your big data system. DIY big data systems can be built using open-sourced software like Hadoop, but if the device can’t stand up to the load, your hard work goes down the virtual tubes. · Ask for help. If you’re not technologically inclined, you will need more than a YouTube tutorial. Look into big data consulting firms to help you get set up. 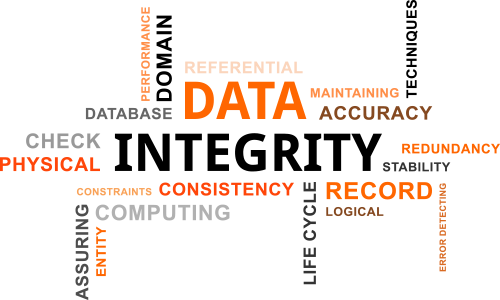 Consider hiring someone specifically to maintain your big data system. Big data is changing the way we look at information. For pharmaceutical supply chains, in particular, it may change the way we keep track of our products. Supply chain analytics for pharmaceuticals is a relatively new field, but it may not be optional for long. A team led by Dr. Nathan H. Lents of the John Jay College of Criminal Justice, City University of New York (CUNY), sampled bacteria from the ear and nasal canals of 21 cadavers through several weeks of decomposition. They then analyzed the bacterial samples using Next-Generation metagenomic DNA sequencing to determine the identity and abundance of all microbes present. With this very large data set, the researchers used a machine learning approach to scrutinize the bacterial communities and how they change over time as the bodies decomposed. Through iterative testing and tweaking of their computational tools, the investigators built a statistical model that predicts the postmortem interval of unknown samples to within 55 accumulated degree-days, or about two days in summertime. This degree of accuracy holds through several weeks of decomposition, a substantial improvement over presently available methods. "Our approach had the benefit of sampling the same cadavers repeatedly as they decomposed and we think that this really added to the ability of our machine learning approach to see through all of the massive amount of noisy data and detect the underlying patterns," said Dr. Lents. "While we consider this a pilot study, it is a very promising proof-of-concept, and I think that microbiome-based approaches will eventually become the standard method of determining the time since death for bodies that are discovered after some time of decomposition." "This study takes us a step further [than the human microbiome], and tells us about the necrobiome, the collection of microbes on a dead body," said Dr. Robert DeSalle, Curator of Molecular Systematics at the American Museum of Natural History, who was not affiliated with the CUNY study. "By knowing which microbes take over a dead body and how long it takes, forensic scientists might be able to use this technique to determine time of death or other aspects of a crime scene." With additional research, this microbiome-based method promises a far more definitive method to establish time since death, which could open and close avenues of investigation in homicide cases, shed light upon possible suspects, and corroborate or disprove alibis. Scientists around the world are working hard to win the battle against multi-resistant bacteria. A new publication from the BASP Centre, University of Copenhagen now presents how even sensitive bacteria often manage to survive antibiotic treatment as so-called 'persister cells'. The comprehensive perspective on this phenomenon may help to improve current options of drug treatment and could even inspire the discovery of novel antibiotics targeting these notoriously difficult-to-treat persister bacteria. In the current issue of the journal Science, Alexander Harms and colleagues from the BASP Centre, Department of Biology, University of Copenhagen summarise newly discovered molecular mechanisms explaining how bacteria manage to survive antibiotic treatment and cause chronic and recurrent infections. Using novel detection methods, recent work in the field has uncovered the molecular architecture of several cellular pathways underlying the formation of bacterial persisters -- and these results confirmed the long-standing notion that persistence is intimately connected to slow growth or dormancy. Bacterial persistence can therefore be compared to hibernation of animals or the durable spores produced by many mushrooms and plants. Across many different bacteria, these programs are controlled by a regulatory compound known as "magic spot" that plays a central role in the persistence phenomenon. These important discoveries, many of which were accomplished by the BASP Centre, may in the future facilitate the development of improved drug treatment regimens and eventually lead to the development of novel antibiotics. Soil bacteria use the extensively branched, thread-like structures of fungi to move around and access new food sources. In a new study, researchers have been able to demonstrate that these so-called fungal hyphae also form a hot spot for gene transfer between bacteria. In this way, fungi ensure high bacterial diversity in the soil – which can also be beneficial for the degradation of pollutants. In their research, the UFZ scientists were also able to show that much greater gene transfer takes place between bacteria on the fungal highway than in a moist environment without fungal hyphae. Using computer models that calculate the frequency of gene transfer between bacteria on the hyphae, the researchers came to the same result. Wick continues: "Our study shows that fungal hyphae not only provide soil bacteria with an excellent infrastructure, but also a potential hot spot for bacterial horizontal gene transfer. This previously unknown aspect of fungus-bacteria interaction is an important step towards understanding the complex interactions between soil-dwelling microorganisms." Fungi therefore may play a very important role in the highly complex soil habitat: in the spread of soil bacteria, their genetic adaptation and diversity, and ultimately also their evolution. 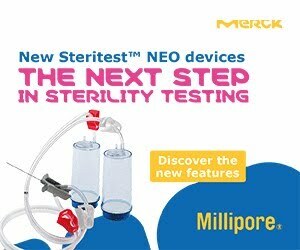 Test for heavy metals have been deleted from the monographs concerned. ‘Anhydrous’ has been deleted from the title of the monographs concerned. 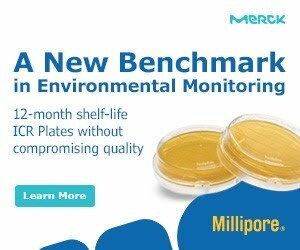 for elemental impurities and according to the decision taken at the 151st session of the European Pharmacopoeia Commission (March 2015), the test for heavy metals (2.4.8 and equivalent) will be deleted from all individual monographs on substances for pharmaceutical use (except substances for veterinary use only). Impacted monographs are listed in the table below. These deletions will be implemented for the 9th Edition and will therefore come into force on 1 January 2017. 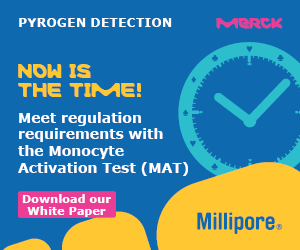 Assay: use of the colour indicator has been replaced by a potentiometric end-point determination. Eight people, who shared the common factor of working at different rat-breeding facilities in two different U.S. states and who contracted Seoul virus, most likely contracted the virus from the rats. This is the outcome from a U.S. Centers for Disease Control and Prevention investigation, which was undertaken with the Illinois Department of Health and the Wisconsin Department of Health Services. The matter is of public health concern because the eight infections represented the first viral transmissions from rats designed to be sold as pets. The first case to be reported was when a man, who bred rodents at his home in Wisconsin, was sent to hospital after reporting a fever and headache. This was in December 2016. Tests indicated that the man had a contracted the Seoul virus, which is a member of the Hantavirus family of rodent-borne viruses. Later a member of the man’s family also contracted the virus. Both people recovered, although the investigation revealed that six other people who bred rats at home were infected with the same virus type. The six worked at two separate home-based rat breeding centers. Seoul virus does not make the rats sick, but people can become infected through exposure to infectious body fluids (blood, saliva, urine) or bites from infected rats. The virus is normally reported in Asia, the new cases in the U.S. are very rare in the west. The virus cannot be spread between people (only to people from infected rats). In severe cases the virus can lead to renal failure. U.S. health authorities are currently working with the home-rearers to identify customers who may have purchased rats as pets, to see if the infection has spread. The U.S. Centers for Disease Control and Prevention has stated that citizens in Illinois and Wisconsin who are concerned that they have purchased or come in contact with rats from the breeders should contact the state health departments. Washing hands with soap and hot running water after touching, feeding, or caring for rodents. Being aware that pet rodents can shed viruses and bacteria and this can contaminate surfaces. Regular cleaning and disinfection of rodent habitats and supplies. Visit a veterinarian with the rodent regularly, for checks. In the longer term, a review is likely to take place regarding the breeding of rats in the U.S. The recent adoption at its 156th session of the following texts demonstrates the Commission’s commitment to the replacement, reduction and refinement of animal tests in the quality control of medicines. A useful book has been published - 'Assuring Data Integrity for Life Sciences' - edited by Siegfried Schmitt. This new book provides a truly global perspective on data integrity and the solutions available to address this serious issue. It includes two main sections: the regulatory and historic background of data integrity, and practical advice on how to prevent or rectify data integrity breaches. Each chapter is written by renowned, highly experience subject matter experts in the fields of compliance and data integrity, and includes a "how to" section with practical, implementable advice. Content is up to date with the latest regulations and guidances, making this the most relevant reference source of its kind. Useful checklists and aide memoirs can be customized by the discerning reader. This book should be equally useful for the quality unit professional, operations manager, validation experts and regulators. The modular structure allows readers to pick chapters of special interest without having to reach the chapters in order. However, given the usefulness and universal application the "nuggets of wisdom" and advice provided, it is anticipated that readers will want to read the publication in its entirety. The book is available from the PDA store, or by using the flyer below. Tim Sandle has traced the history ofcleanrooms in two part feature. Part 1 covers the early concept of clean spaces, as required for surgery, and traces these to developments immediately post-war. Part 2 will address the coming of modern cleanroom designs for pharmaceuticals and healthcare. “This article discusses the development and progress of cleanrooms and describes the significant historical milestones, taking the eighteenth century concept of a ‘clean space’ to the twenty-first century cleanroom. The history of cleanrooms is intimately entwined with two strands of technological development: medicine and military. The medical origins can be traced back to the attempts to create a clean environment, first for field surgery and later for operating theatres; whilst the military applications stem from attempts to assemble precision engineered mechanisms in environments where dust particles posed a risk to the device mechanics. Further on, developments with the atomic power, spacecraft and electronics spurred technological advances in cleanrooms, followed by the later application of cleanrooms in the pharmaceutical industry, led to the modern cleanroom technology of the twenty-first century. Melvyn Bragg and guests discuss the history of microbiology. We have more microbes in our bodies than we have human cells. We fear them as the cause of disease, yet are reliant on them for processes as diverse as water purification, pharmaceuticals, bread-making and brewing. In the future, we may look to them to save the planet from environmental hazards as scientists exploit their ability to clean up pollution. For microbes are the great recyclers on the earth, processing everything – plants, animals and us. Without microbes life would grind to a halt. How did we first discover these invisible masters of the universe? The development of microscopes in the 17th Century played a key part, but for a while science seemed stuck in this purely observational role. It is only when Louis Pasteur and Robert Koch began to manipulate microbes in the lab two hundred years later that stunning advances were made. These breakthroughs led to an understanding of how microbes transform matter, spread disease and also prevent it with the development of antibiotics and vaccines.With John Dupré, Professor of Philosophy of Science at Exeter University; Anne Glover, Professor of Molecular and Cell Biology at Aberdeen University; and Andrew Mendelsohn, Senior Lecturer in the History of Science and Medicine at Imperial College, University of London. 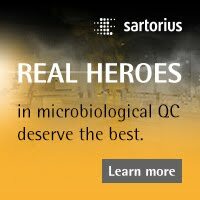 Researchers find a bacterium 1,000 feet underground (called Paenibacillus) that is resistant to 18 different antibiotics and uses identical methods of defense as similar species found in soils. The scientists identified five novel pathways that were of potential clinical concern. The results show the bacterium is resistant to 18 different antibiotics and uses identical methods of defense as similar species found in soils. This suggests that the evolutionary pressure to conserve these resistance genes has existed for millions of years -- not just since antibiotics were first used to treat disease. Among the different ways that the bacteria could be resistant to antibiotics, the scientists identified five novel pathways that were of potential clinical concern. Finding these new pathways is particularly valuable, as it gives researchers time to develop new drugs to combat this type of resistance, potentially decades before it will become a problem for doctors and their patients. Control of airborne and surface microorganisms and airborne particles in a cleanroom is achieved through the physical operation of the heating, ventilation, and air conditioning system and cleaning and disinfection techniques. Even with these factors taken into account, contamination can still occur. 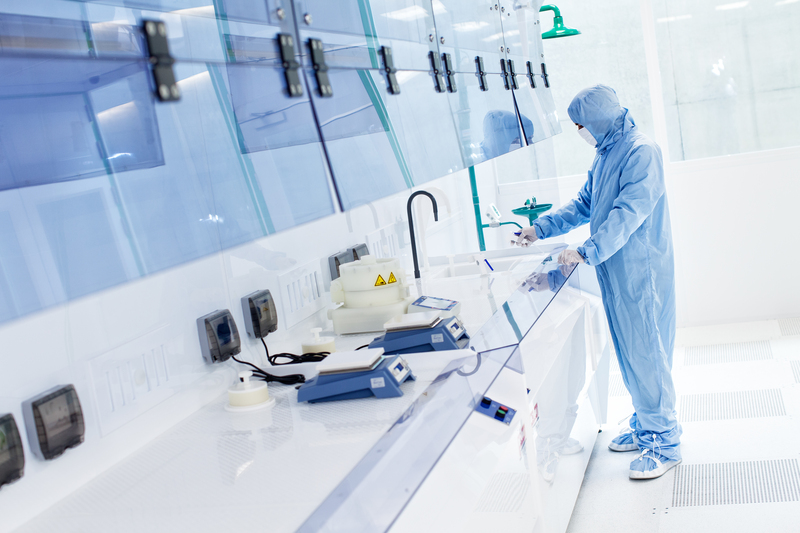 One area of concern is the entry of personnel2 and the movement of equipment into and out of cleanrooms.3 Traditional ways to control these activities have centered on gowning techniques and the cleaning of equipment. To accomplish this, cleanroom mats are frequently used to remove particles from footwear and from trolley wheels. Research undertaken at an independent laboratory evaluates the performance of temporary adhesive mats and semi-permanent polymeric flooring in retaining contamination from footwear, and particle generation from removing layers of the adhesive mats. To view the research and the article, see: Controlled Environments magazine. The current EU Guide to GMP refers in several places to Marketing Authorisation Holder (MAH) companies and their responsibilities in relation to GMP ensuring that the manufacturing authorisation holder can comply with GMP. These range from a responsibility to perform a task (e.g. review of periodic quality review), to acting at the interface with manufacture and control of the medicinal product (e.g. provision of current dossier information to facilitate the manufacturer’s compliance with the marketing authorisation). These responsibilities for MAHs are spread over various chapters and annexes of the Guide, and are quite numerous. There appears, however, to be a lack of clarity and understanding as to what these responsibilities actually are in their totality, and what they mean for MAHs at a practical level. The concept paper can be viewed here. Antimicrobial-resistant bacteria are posing a severe threat to global public health. 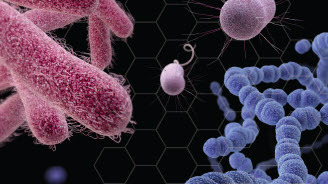 In particular, they are becoming more common in bacterial pathogens responsible for high-mortality diseases such as pneumonia, diarrhea, and sepsis. For further details see UCLA. According to Public Health England’s Annual Flu Report, there have been more than three million deaths in the UK since 2006 from flu. Nick Hawkins, Managing Director atEverbridge EMEA, discusses how mass notification solutions can be used by health care providers to stop the death toll rising. Recent figures released by the Office for NationalStatistics (ONS) show that last year an ineffective vaccine combined with low immunisation rates across the UK resulted in the largest percentage increase in flu deaths since 1968. Whilst anyone can catch flu, its symptoms have a devastating effect on certain groups including the over 65’s, pregnant women, young children, and diabetes sufferers. The latest report from Public Health England shows vaccination rates within these groups have decreased in the last twelve months. So what can be done to improve the communication between NHS organisations and citizens about the flu virus? What tools can medical professionals use to manage flu vaccination programmes and any severe outbreaks of the virus? 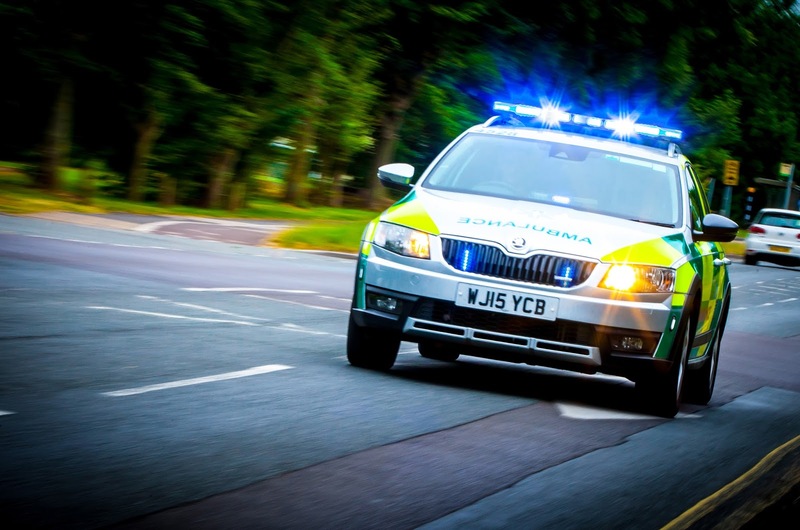 Critical communications platforms are already in use by several organisations within the NHS. Hospitals use the technology to co-ordinate with staff and deploy resources in the event of an emergency, and ambulance services use it to communicate more effectively with first responders and residents during major incidents. So how can local NHS Trusts and GP practices use the technology in the fight against flu? Communication platforms can be used to send targeted notifications directly to individuals. These critical messages can be sent quickly and reliably via several different communication channels—including SMS, email, text-to-speech alerts, social media and push notifications. In fact, the most effective platforms have the capability to send out notifications via more than 100 communication paths and devices, enabling organisations to communicate with residents much more effectively than before. This would allow health care providers to communicate directly with vulnerable people during the winter months. During flu season GP practices could send out messages to diabetes sufferers and the elderly to remind them to book a flu vaccination. By moving away from the current blanket-approach to a more targeted methodology, the technology enables health care providers to directly reach out to patients— even when they are outside of a medical facility—and provide them with useful health information tailored to their individual circumstances. Targeted messaging means patients are aware that their local healthcare provider has prioritised their health and are therefore more inclined to take action following a critical notification from their doctor. Central to the success of critical communications platforms are two key functions. The first is the capability to deliver messages using a variety of different methods – known as multi-modal communications. The second is effective two-way communication, which is the ability for recipients to respond to notifications quickly and easily, acknowledge receipt and confirm actions or declare status. No communications channel is 100% reliable 100% of the time, so multi-modality transforms the speed at which people receive the message. Multi-modality facilitates communication via more than 100 different communication devices and contact paths as diverse as smartphones, tannoy systems and digital signage. Multi-modality enables multiple methods of delivering vital preventative information during breakouts of flu. Just as multi-modality ensures it is easier to receive a message, two way communications makes it simpler to confirm a response. Organisations can use communications platforms to create and deliver bespoke templates that require simple one-button press responses. In doing so, the number of responses increases significantly. For instance, GP surgeries could send out a critical notification asking local residents if they are feeling unwell and whether they need an appointment. Residents can reply instantly, providing health care professionals with an overview of the scale of the issue and how best to deploy resources. Combined, these two functions enable organisations to respond smarter and faster. In situations where multi-modal communications and response templates are deployed together, response rates to messages increase from around 20% to more than 90%. This increase means residents are better informed of the dangers of flu, more aware of what measures to take and able to inform medical professionals when they need assistance. Whilst most common strains of flu are treatable with modern medicine, the virus continues to evolve. In 2009, the UK found itself amid a ‘swine flu’ pandemic—the antibiotic resistant H1N1 influenza virus. In recent weeks, scientists have also discovered a new severe strain of H5N8 avian flu which is spreading across Eastern and Central Europe. Critical communications platforms could be used by hospitals and first response teams to communicate with on-call staff and deploy medical resources to treat patients and quarantine the virus. Users could also harness the platform’s geo-location data to assess the most affected areas and prioritise those patients with the most critical needs. As a result, pressure on the NHS and local GP’s would be reduced, and vulnerable patients in need of urgent assistance would receive more efficient treatment. Flu remains a killer yet often blunt tools such as national newspaper and radio advertising are used to advise the public of the need to be vaccinated. The digital age facilitates new and more engaging ways to communicate. Emergency communications platforms deliver a more personalised form of two-way communication to drive higher response rates and consequently improve public wellbeing, likely at a small proportion of the cost of traditional communications methods.